The last two days we rode long and hard and were able to make up one of the two days we lost at Chandigarh. On day 3 of the ride, Guru and I planned that we would ride the equivalent of two days and win back the second day as well. According to original plan we were to sleep at Sarchu the previous night and were to be at Tso Kar by the end of this day. 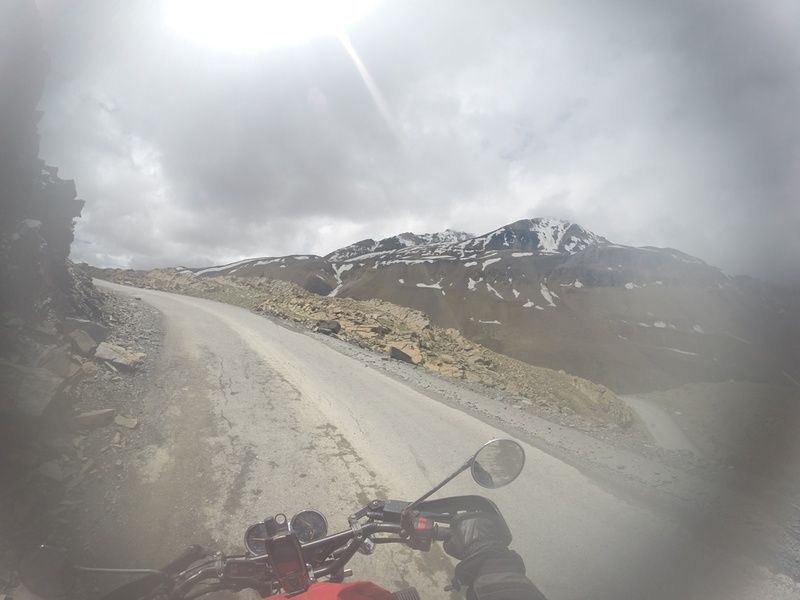 So we decided to wake up early, start riding and reach Sarchu for lunch and then ride more to reach Tso Kar in the evening. If we managed to do that we will have been back on track and Marsimik La would once again be achievable. We woke up early at 6 am, packed our stuff in the Bolero, had breakfast and headed out towards Sarchu. 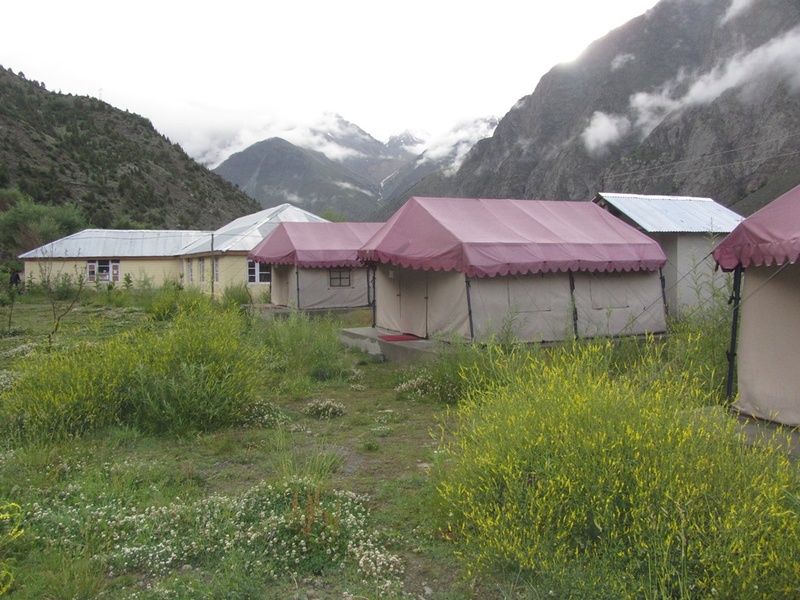 Before that we took some time to look around our camping site and admire the natural beauty around us. We left Jispa at 8 am reached Darcha shortly where we had to register ourselves and our vehicles with the local authorities. As we rode northwards we encountered a few water crossings which were fun since they usually aren’t too dangerous at this time of the year. By 10 am we were a Zing Zing Bar where we stopped for some Maggi noodles and tea. We then proceeded to climb the Baralach La pass and enjoyed the views of Suraj Tal. 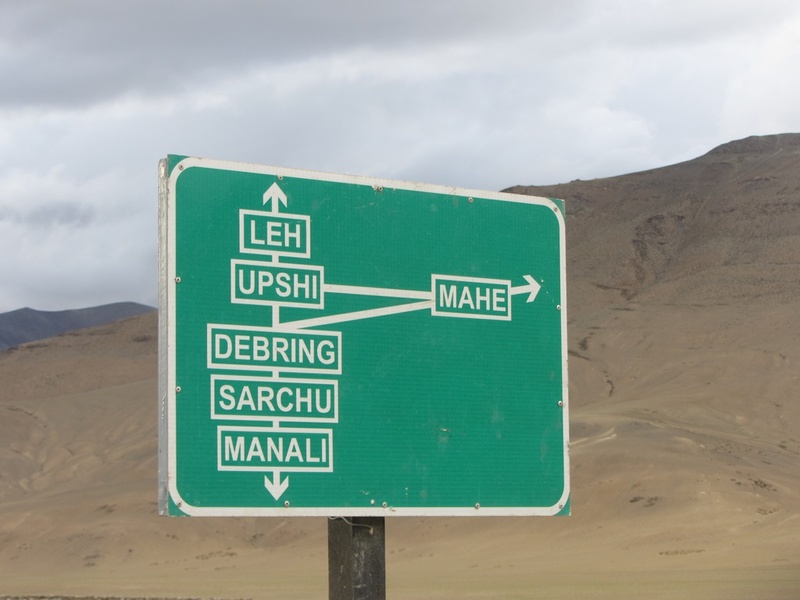 By 12:30 pm we were at Sarchu, which meant that spending the night at Tso Kar could be a possibility. 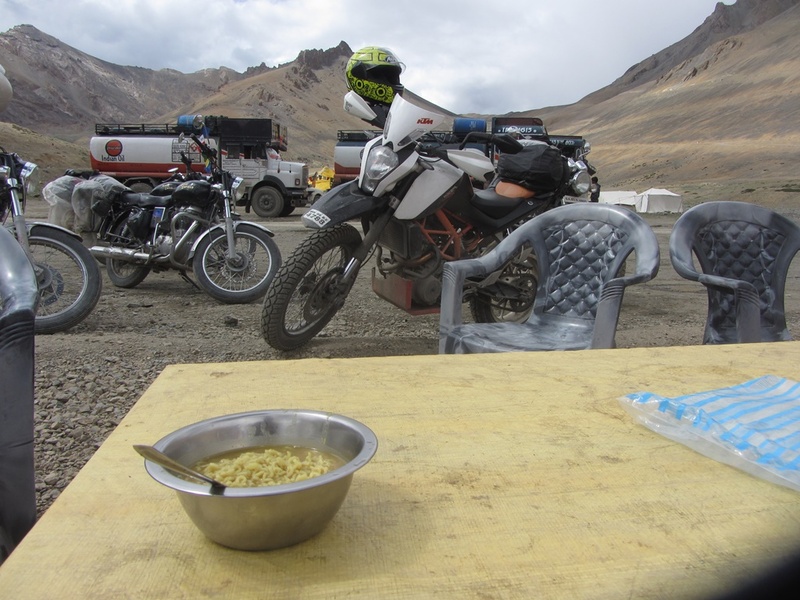 Thanks to the Maggi noodles at Zing Zing Bar, we weren’t feeling too hungry at Sarchu and we decided to ride a little more before we stopped for lunch. 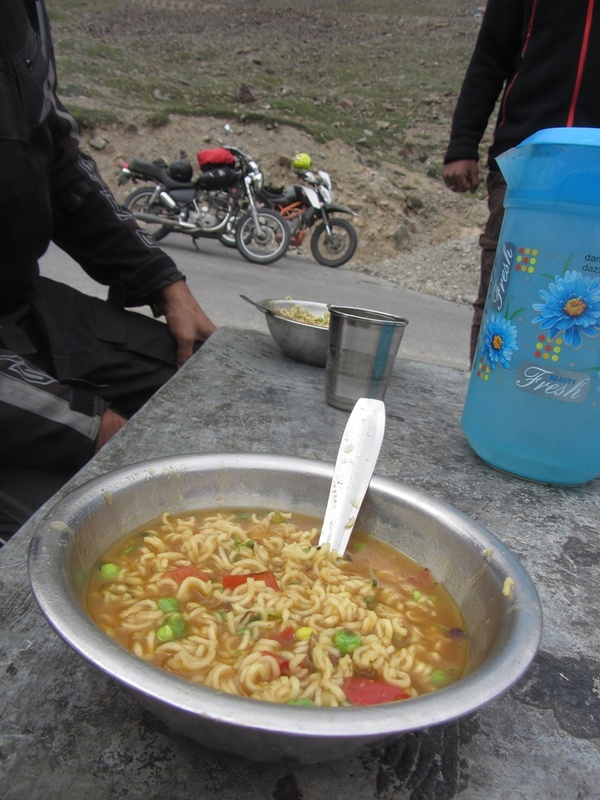 We crossed Gata Loops and at 2:30 pm we eventually stopped at Biskynala for lunch and gobbled yet another bowl of Maggi noodles. After some rest we started riding once again and reached Pang by 4:30 pm where we stopped for tea. What came next blew my mind completely. More Plains. 40 kms of straight flat beautiful tarmac flowing in the valley between breathtaking mountains. Absolutely glorious. We twisted our accelerators to the max as we flew past the beautiful mountains getting their last doses of sunlight before dusk settled on them. 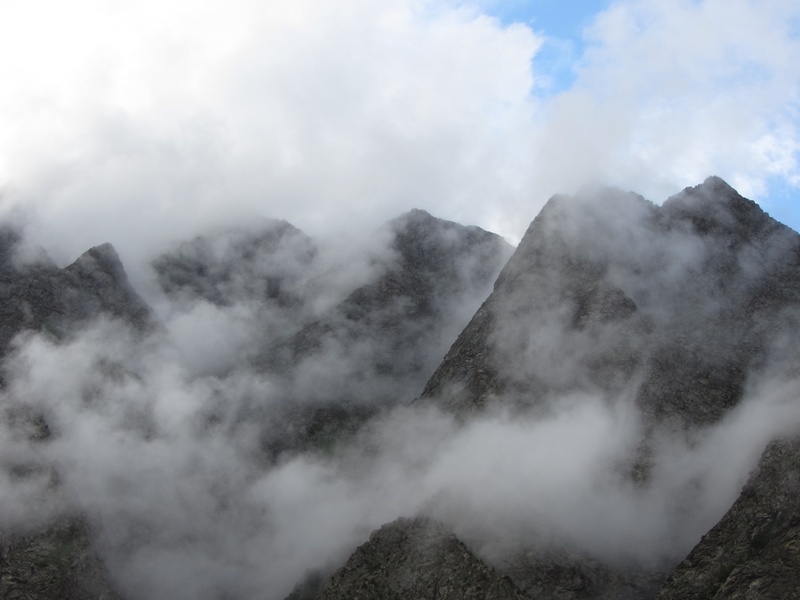 Within half an hour we found ourselves at Debring where we had to take a right to Tso Kar and onward to Mahe the next day. 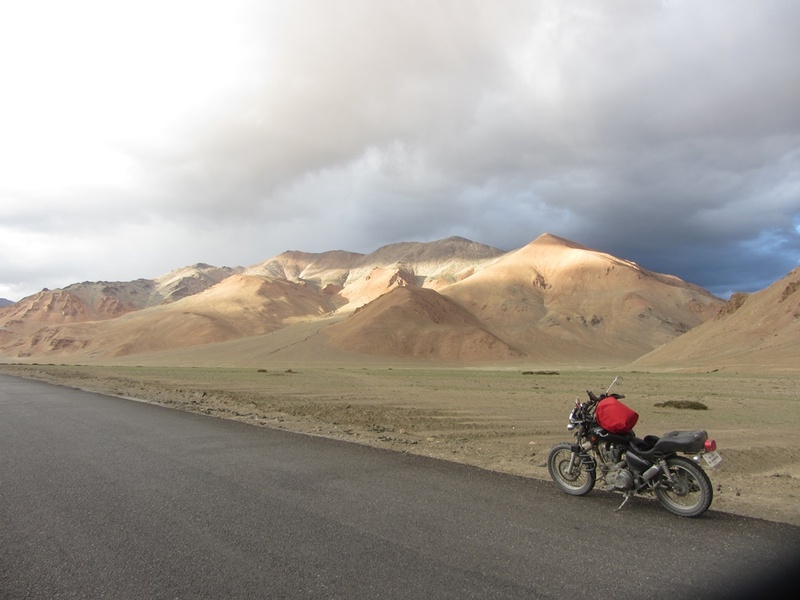 The road to Tso Kar was equally beautiful but not as wide and smooth as the one on More Plains. After 12 hours of riding 225 kms we finally made it to Tso Kar at 7:30 pm on Day 3. Our long and hard riding had paid off and we had made up the two days that we lost at Chandigarh. 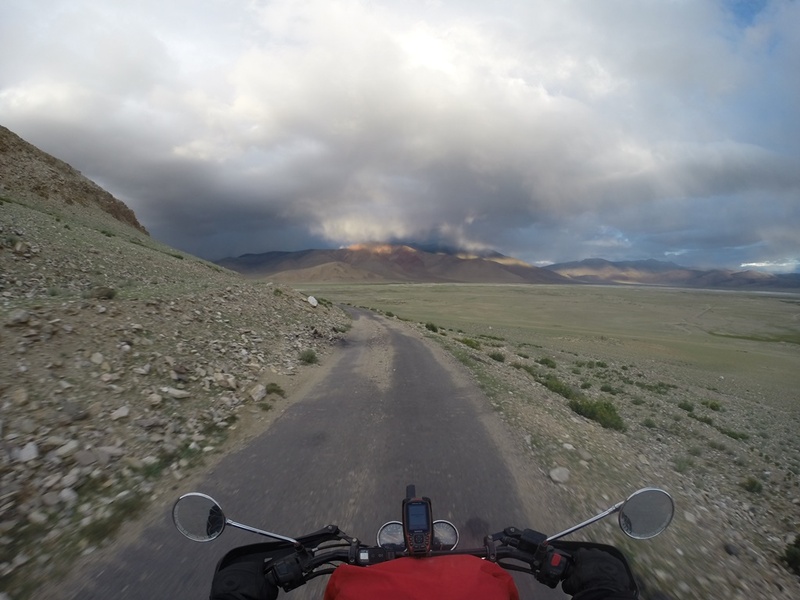 Our bodies were sore after three days of hard riding 650 kms on horrible roads. The net result of all this was that we slept like happy babies that night. I don’t know about Guru, but after having my third bowl of Maggi noodles of the day as dinner I fell face first on my bed and passed out.